1.Transform your garden to an incredible wildlife nature reserve with the solar butterfly and amaze your family and guests. 2. Outdoor design and no maintenance needed. 4. 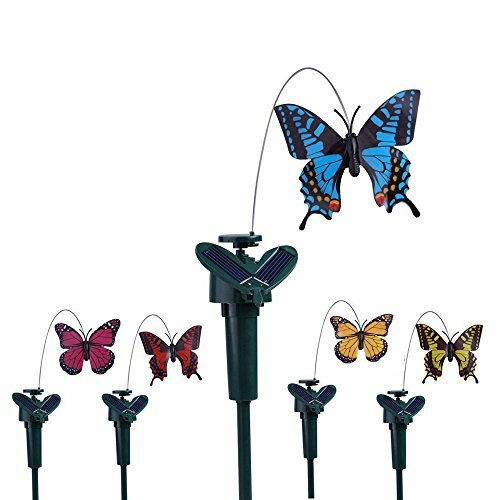 A few steps will bring beauty to your home: Assemble the stick, solar panel and butterflies together, plug the stick into earth and the butterflies are live. 5. Vivid hand paint with feather wing. 11.81" tall of Stake, 7.87" long bouncing wire. If you have any questions about this product by Vanki, contact us by completing and submitting the form below. If you are looking for a specif part number, please include it with your message.